In living creatures, the brain is the control unit and it can be divided in different anatomic and functional sub-units. An artificial neural network is a computational system for processing information as a response to external stimuli, which consists of a set of highly interconnected processing elements called neurons. It is very useful to have some knowledge of the way the biological nervous system is organized, since the artificial neural network is an inspiration of the biological neural networks. 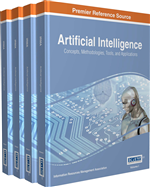 This chapter is an explanation of the Artificial Neural Network (ANN). The biological and mathematical definition of a neural network is provided and the activation functions effective for processing are listed. Some figures are collected for better understanding. In the nervous system of the living creatures, there are fluid-filled sacs which bound by a lipid bilayer for separating the intracellular contents from the extracellular space and they are called Neurons, or brain cells. Inside the body, neurons are responsible to maintain a negative internal voltage, which is related to the extracellular space; ion channels and pumps maintain this potential difference. In most neurons of the central nervous system, spike is responsible to send the signals of neural activity, or rapid intracellular depolarization followed by repolarization; in order to adjust the neurons, it is necessary to communicate information about a neuron's activity. Some neurons communicate with simple resistive coupling, via channels that allow direction flow. However, for higher animals, most neurons in the central nervous system (CNS), communicate through chemical synapses: triggering the release of chemicals using the neural spike is called neurotransmitters into the extracellular space. These neurotransmitters bind to ion channels in adjacent neurons, causing a brief ionic current to flow into the neuron. The resulting current flow in the recipient neuron will be depolarizing, or hyperpolarizing and it depends on whether the neurotransmitter is excitatory or inhibitory, respectively. It is very useful to have some knowledge of the way the biological nervous system is organized, since the artificial neural network is an inspiration of the biological neural networks. There is difference among the nervous system of creatures. Most living creatures, which have the ability to adapt to a changing environment, need a controlling unit, which is able to learn. Higher developed animals and humans use very complex networks of highly specialized neurons to perform this task. In the living creatures, the brain is the control unit and it can be divided in different anatomic and functional sub-units. Each unit is responsible to do certain tasks like vision, hearing, motor and sensor control. The brain is connected by nerves to the sensors and actors in the rest of the body. There are a large number of neurons, about 1011 in average. This can be considered as the basic building bricks for the central nervous system (CNS). The connection points of the neurons are called synapses. The complexity of the brain is because of the massive number of highly interconnected simple units working in parallel, with an individual neuron receiving input from up to 10000 others (Bishop, 1995). The structure and its processes in a simple cell are enormously complex. Even the `dendrites' that originating from the cell body are thin and widely branching fibers, reaching out in different directions and make connections to a larger number of cells within the cluster. Axons make the connections from the other cells to dendrites of one cell or directly to the body of the cell. There is only one axon per neuron. It is a single and long fiber, which transports the output signal of the cell as electrical impulses (action potential) along its length. The end of the axon may divide in many branches, which are then connected to other cells. The branches have the function to fan out the signal to many other inputs (Hassoun, 1995). The structure of neuron has four main regions. There are two offshoots from the cell body, the dendrites, and the axon, which end in presynaptic terminals. The heart of the cell is called the cell body that contains the nucleus and maintaining protein synthesis. A neuron has many dendrites in a treelike structure, which branch out, and receive signals from other neurons. Each neuron has one axon that grows out from a part of the cell body called the axon hillock. The axon hillock generates the electrical signals to the axon down its length. These electric signals are called action potentials. The other end of the axon may split into several branches, which end in a presynaptic terminal. Action potentials are the electric signals that neurons use to convey information to the brain. All these signals are identical. There are many different types of neuron cells found in the nervous system. The differences are due to their location and function. The basic performing function of the neuron is the following: all the inputs to the cell with various strength of the connection and various frequency of the incoming signal are summed up. The input sum is processed by a threshold function and produces an output signal.